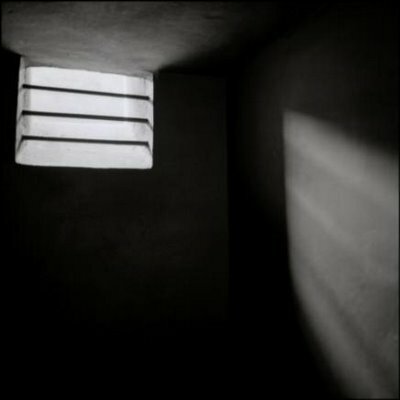 • Politico Magazine publishes a photo essay entitled “This Is What Solitary Confinement Does to Your Face,” a collaboration between the The Center for Investigative Reporting and KQED Public Radio with before and after photos of people who have been subjected to prolonged solitary. This entry was posted in Seven Days in Solitary and tagged Albert Woodfox, Angola 3, Constitution, Death Row, Due Process, Lawsuits/Litigation, Mental Illness, New Mexico, New York City Board of Correction, Psychological Effects, Solitary Confinement, Texas prisons, Virginia, youth. Bookmark the permalink. In Harford County, Maryland, a juvenile was recently held in solitary, 24 hour lockdown, for 9 months, while awaiting trial. He was 16. For the first 4 months, he was not allowed books, magazines, visits, mail, phone calls, or commissary. He had no bedding and was given only a paper hospital gown to wear. He had no access to radio or television, or any other source of entertainment. For the next 5 months, he continued in 24 hour lockdown, but was allowed phone calls, mail, visitors, and commissary. All of the other conditions remained unchanged. When he turned 17, he was placed in segregation – this is 23 hour lockdown. He remained there for the next 15 months. He was only recently allowed to have bedding and a jail uniform. Please remember that he has not yet been found guilty of any crime, and is, presumably, innocent. The damage done to this boy by the “justice” system is unconscionable.